Instant Cutter for large video files. Color Correction Tool for tuning up your sport videos. Support 4K action cam video editing. If your savings allow you to invest on an advanced action camera then it is right time to search for all available competing products so that you can buy the best one. These expensive cameras serve users for dangerous applications with ease as they are designed with rugged, durable, portable and waterproof design. Luckily, it is also possible to avail few cameras of this segment in affordable price range so you can soon buy a budget friendly action camera for your adventure sports activities. What to consider when choosing a cheap action camera? Extra accessories: Sometimes you may get camera at cheap price but then you will have to spend more on its accessories. As you cannot operate these cameras without their supporting system so it becomes essential to check the accessory kit price at the time of purchase. Prefer to buy a camera that provides all basic accessories with the box. Resolution: The major problem of maximum cameras is their poor resolution and picture clarity especially when they are mounted on helmet or moving objects. Try to ensure resolution of at least 1080p or prefer to find one with 4K quality. Memory Capacity: Few latest models never allows users to insert memory card for storage, you have to compromise with the limited internal storage only. Be aware while buying such cameras, it is necessary to have at least 32 GB storage space for better results. Battery: A camera unit with non removable battery is of no use because it cannot assist you in long tours. One must get a device with removable and rechargeable batteries so that it can serve you beyond any time limit. It can assist users to capture high quality videos at 1080p with 60fps and at 720p with 120fps. The device is designed with ultra wide type 155 degree angle lenses so that it can provide better coverage. It is enabled with Wi-Fi and Bluetooth connectivity so that some remote operations can be performed with smart phones applications too. LED Back-lit button for recording is one more advantage of this camera. 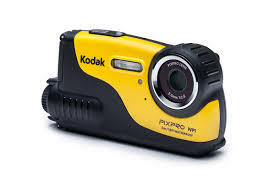 Kodak offers a waterproof, rugged, dustproof and shock proof companion for athletes and adventure lovers. It can be easily used in rough weather conditions as well as under water. You will be able to capture still images with 12MP clarity whereas for videos it offers 720p HD quality. 2X digital zoom is one more advanced feature and the convenient advanced batteries assist users to enjoy long hour recording with ease. Here is a lightweight solution for your action camera needs as its maximum weight goes up to 136grams. The video resolution offers by Polaroid is 1080p Full HD with the maximum storage capacity of 32GB. You can also enjoy the slow motion coverage with this device on 720p HD footage. This tube shaped device can be easily mounted anywhere and the auto rotate feature make it more suitable for adventure sports activities. If you are searching for an easy to carry camera unit then 74 grams will be suitable weight for you. SJCAM is designed to be extremely light weighted device with screen length of 2 inches and maximum viewing angle 170 degrees for wide coverage. The video recording goes up to 1080p with Full HD motion whereas for slow motion fun you can switch to 480p. Storage capacity of 32GB is suitable for all your tour memories. This action camera is designed to serve under water up to 200feet with dedicated housing arrangement. Its built in mics can help you to record rich audio along with video scenes. Maximum storage goes up to 32GB whereas 1.5” LCD screen is much easier to monitor, setup and control. The 100mAh battery backup can support you up to 120 minutes and tripod mounting facility offers best results. It is simply an excellent camera with all amazing features that are desired for an action camera. For stills it can offer 12MP picture clarity whereas 24fps interpolated settings offer breathtaking 4K resolution for video recording. Although it lacks somewhere in battery backup with its 950mAh battery but on the other side 64Gb memory capacity is again beneficial for long hour recording. The Wi-Fi connectivity offers remote control facility. Here is one more alternative for GoPro category as it offers attractive and stylish dimensions with 1080p resolution at 30fps. It produces appreciable footage for day hours as well as for low light scenes. The microSD support goes up to 64Gb but it do not support Wi-Fi connectivity. 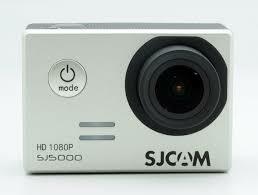 It is one of the highly rated action cameras in market after GoPro. Its weight it only 2.5 ounces and people love to keep it in their gift list for someone special. The water proof housing can help you to use this device under water for upcoming holiday season. The price range is much lesser as compared to GoPro series but features are equally good. This camera is developed with a very good processing unit, portable design and light weight construction so that no one can have any trouble with its routine usage. Some of the highly rated features of Eken are its long battery life and appreciable backup time whereas on the other side price is also justifiable for all amazing features. When you are searching for a great value on your investment then it is good to consider Eken as your first choice in best action camera list. It looks like a standard but attractive action camera unit with wide coverage lenses and small size. The micro USB port can assist users in easy transfer of data from camera to computer or smart phones. 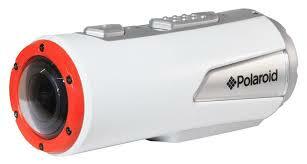 You can go up to 60 Feet underwater with this camera as its waterproof body will never face any damage. The best thing to know is that it has very light weight (65grams only) so you can carry it anywhere with ease. Have more questions about the effects in Filmstocks?